Moms will love hanging these pretty Mother's Day Color Pages around the house after the kids finish their artwork. 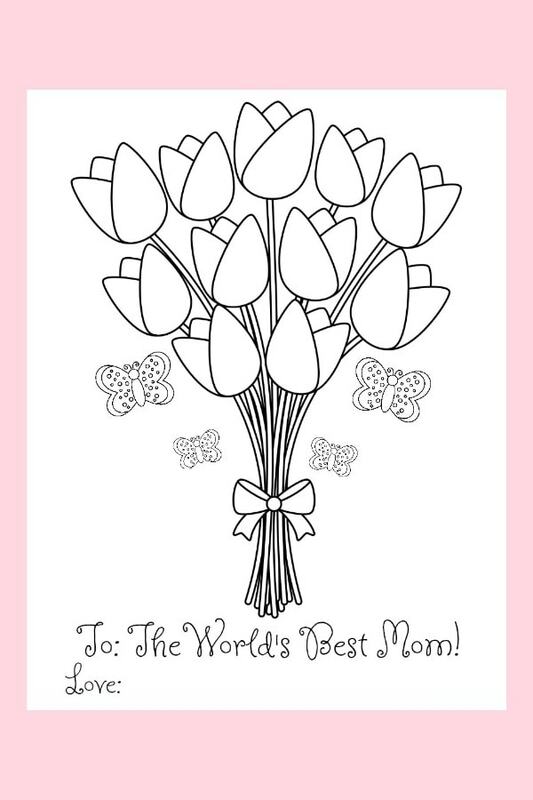 Free printable color pages are the most inexpensive way for kids to color mom a special picture this year! 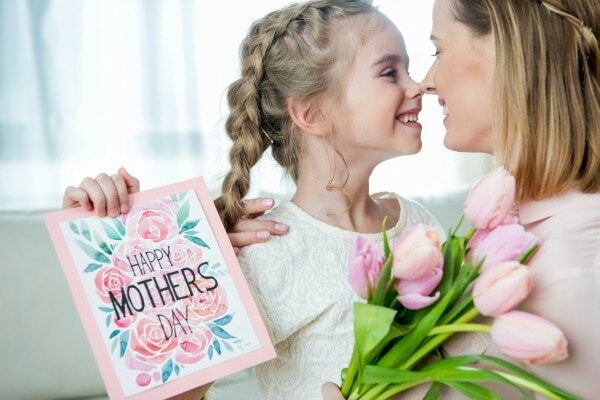 Kids love giving gifts to their moms and usually don't have much money to spend on a Mother's Day gift. I always love getting something my kids make especially if I don't have to do any of the work, LOL. It is super easy for me to print these color pages off and give them to my daughter. She enjoys coloring and loves to see her handiwork hanging on the refrigerator. I love that she took the time to color me some special Mother's Day color pages! It is a win-win. There are four different coloring pages you can download and use. The first Mother's Day color page is a pretty bouquet of rose. Almost every woman loves getting flowers and what is better than a bouquet that never needs to be watered, LOL. The second color page is a pretty floral wreath with a momma bird and her baby bird inside the wreath. Sweet! Candles are a common gift for moms and this color page features three candles all burning bright to celebrate mom! The last Mother's Day color page features a cut of coffee with warm thoughts of love and mom all around! 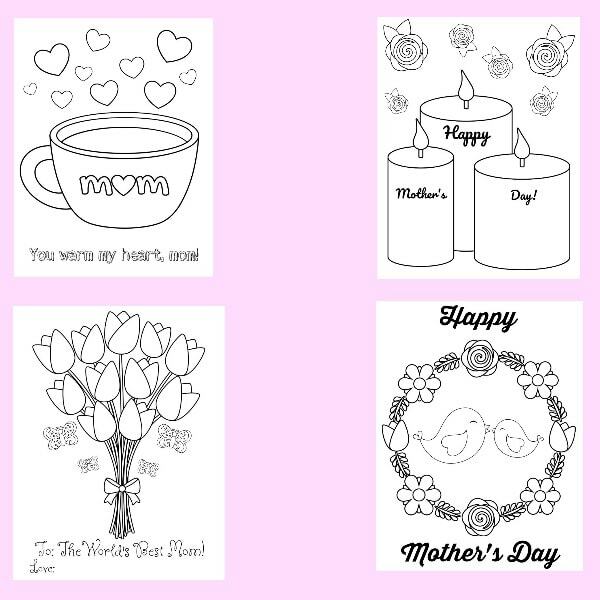 These free printable Mother's Day color pages are available for you to download and print off for your own personal use. 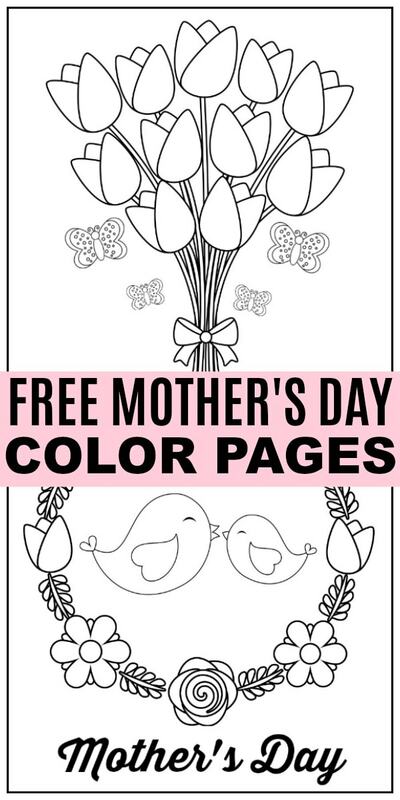 Don't forget to SHARE this post with your friend's so they can print some Mother's Day Color Pages off too!